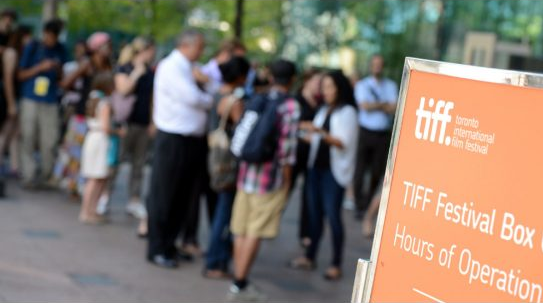 For somebody who is new to attending TIFF, the process of getting tickets can seem quite daunting, and overwhelming. There are many terms and phrases being used that can be confusing to those who don’t yet understanding the process. Is it open to the public? How do I get tickets? Single tickets? Ticket packages? Package redemption? Ticket pickups? What do these all mean? This guide is designed to clarify how festival ticketing works to assist you in attending the film screenings you want to see. As a festival regular, I often get asked by people who have never been if the festival is open to the public and how to get tickets. TIFF is the world’s largest public film festival. All of the films that screen in the festival are available to the public. The press and industry delegates all have their own screening schedules at venues different from the public screenings although they can and do attend the public ones if it works better for their schedule. There are two ways to get tickets for the festival, Single Tickets and Ticket Packages. I often recommend first-timers go the single ticket route until they get a better understanding as to how the festival works, as the ticket package route can be difficult to follow. That said, ticket packages are popular because they can save you money, and give you a better chance at seeing your first choice films, so we’ll cover these briefly before moving on to Single Tickets. If you know for sure you don’t want a package, skip to the “Single Ticket” section. Ticket packages are pre-determined groupings of tickets that are purchased in advance of the festival, and in advance of even the schedule and film announcements. They come in a wide variety, covering various themes and selection types. TIFF has a great Ticket Wizard on the Tickets page (Click “Help Me Choose A Package“) that assists you in selecting the type of package that best suits your needs. This guide narrows it down step-by-step until you reach your package decision. Essentially the ticket packages are broken into two options, My Choice and TIFF Choice. With the My Choice option, you will be given complete control over which films you select to watch. With the TIFF Choice packages, the festival programmers will select which tickets you receive, you don’t have the option of selecting your films. For that reason the My Choice Packages are typically more popular. So you’ve researched through the different package options and have decided that this is the route you would like to go. You’ve made a decision as to which option best suits your needs but now what? The online box office procedure is normally fairly easy to follow, and will guide you through step-by-step instructions to checkout. Upon completing your purchase, you will be sent a confirmation email that has attached what’s called a Pickup Voucher. If you purchased a My Choice package, you will receive an email on August 18th that will contain what is called your Film Selection Window time and date. This is a randomly assigned window during which you will be given access to the online box office to select your films. This email will come with information on how to login and a special package code that you will need when you go to access the online box office. YOU NEED TO KNOW EXACTLY WHICH SCREENINGS YOU WOULD LIKE TO ATTEND WHEN YOU LOG IN FOR YOUR SELECTION WINDOW. Ideally, you will have decided which films you would like to see before the full schedule is released on August 19th. Follow our Complete Beginners Guide for some tips on how to choose films, and help with making your ideal schedule. You will have at least one week to decide on your ideal schedule before you can select your films. From the time you activate your selection window, you only have 1 hour to complete your purchase. When deciding, always have a 2nd and 3rd choice in case your first choice is sold out so you’re not scrambling. If you plan on doing multiple screenings in one day, be sure to leave yourself enough time in between each one. I find that 90 minutes is usually adequate. This allows you travel time between venues, getting into the ticket holders line, and some time to stretch and eat. When your Selection Window time arrives, proceed to the online box office using the information in the email you received and login. You will see the films laid out in two ways. You can either search by specific film title, or by day of the festival. If you click on a day on the calendar option, you will be given a complete list of the films playing that day. If a film says Off Sale beside the title that means that it is currently sold out and you will need to choose something else. You can choose to use up to 4 tickets from your package per screening if you want to attend with friends. Once you’ve made all your selections, you will then proceed to the checkout page. You will not be paying for anything here, since you already paid when you bought your package earlier on. You will confirm all of your selections are correct and complete the order. You should receive another confirmation email at this point that provides a list of the screenings you selected. Print this out and keep it with your Pickup Voucher. If you purchased one of the TIFF Choice packages, you will be receiving an email [2015 date TBD] that will contain the schedule of films that have been selected for you. Congrats! You did it! You bought TIFF Tickets! Scroll down to the section “Picking Up Your Tickets” for your next / final step! So now that you’ve learned how the Festival Ticket Packages work, perhaps you’ve decided this is still not the best option for you. Perhaps you don’t want this level of commitment, or you need to be able to fit films in around your work schedule. Perhaps you only want to see 1 or 2 films instead of many, or perhaps the package you wanted is already sold out. Fear not, there are several other ways of getting tickets to see films. The next option would be single ticket sales. What are ‘Single Tickets’ and how do they work? After all of the TIFF Donors, Members, and Public have redeemed their packages, any tickets that are left over will go sale as single tickets. With this option you can choose up to 4 tickets per screening, for as many films as you want or you can choose just one film if you want to. There is no commitment to a certain number of films, a certain schedule, or to a certain type of film. The downsides to going this route is that each individual ticket is more expensive, and you have to fight a lot of people when they go on sale to get them. The very first step is: When the schedule is released on August 19th, decide what films you want to see and when. It will be particularly important during single ticket sales that you have a 2nd and 3rd choice as backup. Single tickets sell out fast and many are already sold out when the Single Ticket On Sale day begins, due to package redemptions. On August 30th, the day before Single Tickets go on sale, TIFF.net will have a link to an Off Sale page that will show all of the films that have already sold out for all screenings through the package redemption process. Single Tickets go on sale September 6th 2015 at 9am. You have three options to try and purchase Single Tickets. In Person, Over The Phone, or Online. Whichever way you decide to try and get tickets, none of them give any sort of advantage over the others. All options are trying to access the same ticketing system so it will be a slow and painful process no matter what. People will often camp out overnight in line. Perhaps you have a slightly better chance if you’re at the front of the line in person but people will be hammering the online box office from home at 7am so it will still be difficult. Pretty much the same as online, except that you’ll reach a Busy Signal for most of the morning. To attempt to get tickets from the online box office, head to TIFF.net at 7am, where you will be greeted immediately by a screen that asks if you want to continue to the regular TIFF site or head to the online box office. When you click on the box office link, you will be taken to the Virtual Waiting Room (or, the Virtual Torture Room). You are placed in a queue with a countdown clock. The way the waiting room system works seems to be somewhat arbitrary. Sometimes you have a really long countdown; sometimes you have a really short one. It is also sometimes possible to hit refresh and get bumped up in the line with a shorter countdown even though they tell you not to because you’ll lose your place in line. Regardless, most of the time your countdown restarts when it finishes and you don’t actually get in. It can be a nightmare and can take hours. If you are willing to not get your first choices, it may be better for your sanity if you wait until later in the day or try the next day when the demand will have died down a bit. Once you have gotten through to the actual online box office, you will be able to search by either date or by specific film title. You navigate around, find the films you want, select the tickets you want (up to 4 per screening), and work your way to the checkout. Beware: Sometimes you will get crashes even once within the Box Office due to the overwhelming site traffic. If the film you want is Off Sale, see our section about “Off Sale/Sold Out/Rush Tickets“ below. Starting September 8th, 2015, you will be able to go to the Festival Box office to pick up your tickets (either from your Package or ones you purchased over the phone/online during Single Ticket Day. It would be wise to wait a day or two for the initial crowd to die down to pick up your Tickets. The line to pickup tickets is always long in the evening as everyone gets off work so if you’re able, it might be easier to go on an off-hour during the day. When you arrive at the Festival Box Office to pick up your tickets, find a volunteer and ask them what line you should be in. Tell them how you purchased your tickets (Ticket Package, Online Order, etc). Pro-Tip: If you are unable to make it to the Festival Box Office in advance before the start of the festival , or just don’t want to wait in that line, and do not need to exchange/change your tickets at all – you can pick up all your tickets on the day of your first screening, at your first venue’s box office. These box offices open one hour before the first screening of the day, which is usually 7am – 8am but sometimes a little later. However, you will not be able to do any exchanges at the venue box-offices! They will print out all of your tickets for you. This is a great time-saver! Bring all of the following, regardless of where you are picking up your tickets: your Pickup Voucher (if you purchased a package), a printout of your purchase order or ticket selections, photo ID, and the credit card you used to purchase the package. If you are unable to secure tickets to the film you want with your package, or when single tickets go on sale August 31st, there is always the option of checking again at 7am on the online box office, or by phone, on the day of the screening you want to attend. Often package holders will have traded in or exchanged tickets for other screenings so all of those tickets that were returned will then go back on sale on the day of the screening. We’ve had success doing this a few times over the years. If the film you want to see is still listed as Off Sale, there is one more option to try called The Rush Line. When a film is sold out in advance, a line will form at the venue (at least) 1-2 hours before the start. This is called the Rush Line. Go early to the venue and ask a volunteer where the Rush Line will be for the film you want to see. If you’re really desperate about seeing this movie, go as early as you can. How the Rush Line works: when all of the ticket holders have gone in about 10-15 minutes before the start of the film, the staff count any/all open seats, and they will sell these to the people in the Rush Line. This happens immediately before the start of the film. If you’re closer to the front of the line, you have a good chance of getting in. They can take anywhere from 5-10 or even 50 (for the Larger Venues like Roy Thompson or Princess of Wales) people in. There’s no way to know. Since there are usually introductions before the start of the films so you may not miss anything, or just miss the first few minutes. It’s called the Rush Line because it moves fast. It is cash only, so be ready to move quickly. If this is a Regular screening, the ticket will be $20, if it’s a Premium screening, it will be $40. Once inside the theatre, the task begins of finding one of the few empty seats. This can be literally anywhere in the venue (usually the front row, or the very back). Be quick to get into your seat and try to disrupt the other audience members as little as possible. Stay quiet and turn off your phone, especially if the movie has already begun. Sometimes, ticket holders will try to sell extra tickets to the Rush Line. The courteous thing to do is offer the spare ticket to the first person in the Rush Line, as they have been standing there the longest. However, this doesn’t always happen so if you see someone coming down the line looking to sell act fast and act bold to indicate that you are interested. If you successfully snag a ticket this way, you can now go join the ticket holder’s line. If after all that, the Rush Line did not work and you did not get in, check to see if this film is playing any other times during the rest of the festival. Each film normally plays 2-3 times over the span of the festival. They schedule them at different times so people with different personal schedules can get attend. Only a very small percentage of the films ever truly sell out completely, so your chances of getting into the one you want are good if you understand all the different ways of possibly getting tickets. If you are unable to get tickets to the film you really wanted to see, take a chance and try something new. Pick something you wouldn’t normally think to watch and challenge yourself. While you may end up watching a dud, you may just end up finding a new favourite film. Hopefully this guide has given you an understanding of the ticketing process and will assist you in getting tickets to the festival. Additional information about ticketing procedures can be found on the TIFF website. If you have any questions – feel free to Tweet us @TheRoamingLife – we’re on-call for all your festival needs.